What band could base a whole record on one looping riff that expands over forty minutes, and still leave people yearning for more? King Gizzard and the Lizard Wizard. King Gizzard aren't a new band; since their formation in 2010, the Australian seven piece have recorded eight albums - four of which have been released in the past 18 months - and established themselves as a phenomenal live act. It would be quite easy for a band with such a large repertoire, so speedily acquired, churn out similar material time and time again, however their latest record, Nonagon Infinity almost paints them as a brand new act. 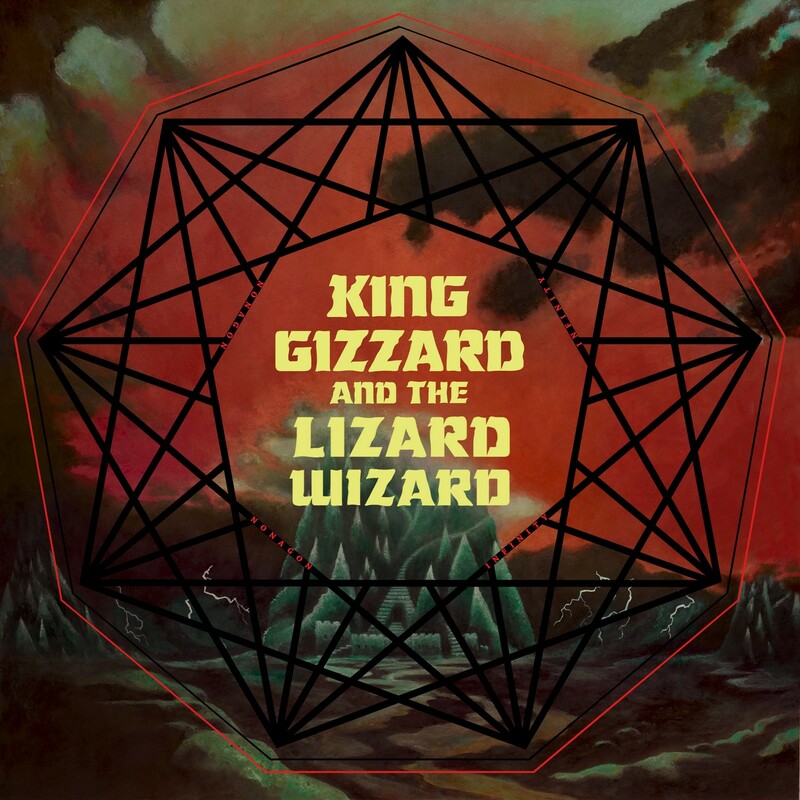 Blasting in with a foot-tapping, hook and echo-drenched vocal, declaring that "Nonagon Infinity opens the door" on first song, 'Robert Stop' it seems that King Gizzard themselves are opening the door to a world of heavy psych-stoner rock that sounds totally and utterly bonkers. As opening tracks go, this is one hell of a way to start a record: the sense of urgency constructed by the intricate layers of beefy guitars, funky bass and pounding drums create an aura of excitement that never leaves. Part of the reason it never leaves is the looping riff that travels through all eight tracks on the record, making for beautifully seamless transitions. Lead single, 'Gamma Knife', and ‘Wah Wah’ crank the bands eccentric sound up to eleven with their bluesy, seventies vibes, whilst the mellow tones of ‘Mr. Beat’ throw back to their tamer days, as on Paper Mache Dream Balloon. The velocity of the tracks doesn't matter though, it's the unrelenting stream of greatness hammered into this record that makes it a perfect starting point for anyone wanting to get on the King Gizzard train. Regardless of the repeated riff, the intensity and the quirky nature the record makes it one to be listened to time and time again without fear of boredom: there is a vivacity to it that never falters. As Nonagon Infinity is so unique in its sense of identity, it's difficult to put it into words, but if one thing is made apparent, it’s that this band are in a complete league of their own. King Gizzard & The Lizard Wizard have explored so many different (and often bizarre) moods across their eight album accolade, introducing us to sounds and combinations that weren’t thought possible – let alone that they could sound as good as they do. And that’s why King Gizzard are, and should remain to be, such a well-respected band. I, for one, cannot wait to see what they do on their next album.